Setting up a home network is not as hard as you think it is. In fact, if your Internet Service Provider (ISP) gave you a router when you signed up for their services, you probably already have a home network. This guide is available to download as a free PDF. Download Everything You Need to Know About Home Networking now. Feel free to copy and share this with your friends and family. In this guide, we’re going to explain the fundamentals of home networking; look at expanding your network to handle more devices; consider the different types of Internet connections; and guide you through some exciting scenarios. The Big Picture – What Can You Do With a Home Network? Before we get into the technical details of setting up a home network, let’s look at the big picture. 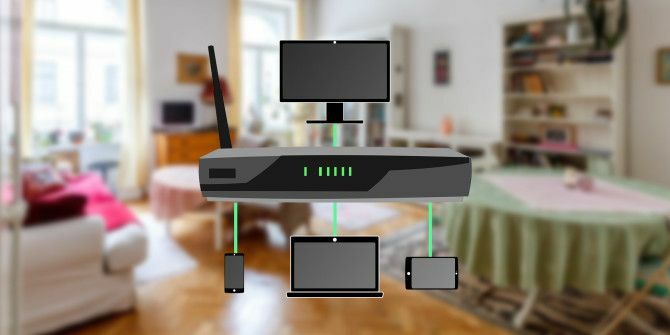 A home network is a private collection of devices – computers, mobile phones, gaming consoles – which are all connected to a router or switch. This is also called a local network. Every device on your home network can “talk” to every other device, which opens up possibilities for media streaming, network backup, multiplayer gaming – and so much more. Here’s an example of a home network – mine, in fact. I’ve augmented the router my ISP provided (by placing it into modem mode) with an Apple Airport Extreme, which provides better wireless performance to some devices. From there, I’ve extended the wired part of the network into two parts of the house using 5-port Ethernet switches – my office and living room, each with 4 devices. In the office, I have a Network Attached Storage (NAS) device, which provides shared data folders to every device, for movies and TV streaming anywhere in the house, as well as backups. In the living room is a range of gaming consoles, a TiVo box and an Android media player (our ProBox EX2 review Probox2 EX Android TV Box Review and Giveaway Probox2 EX Android TV Box Review and Giveaway Android boxes designed for connecting to a TV have been around for ages - the Probox2 EX is the latest and most powerful model in the market. Read More ). Despite owning a smart TV (What is a smart TV and do you need one? What Is a Smart TV? 6 of the Best on the Market Today What Is a Smart TV? 6 of the Best on the Market Today Most televisions you look at now will be smart TVs, but what is a smart TV and which ones are the best on the market right now? Read More ), it’s not hooked into my network, simply because the devices we own do a far better job of anything the smart TV offers. Many people think that getting a router is only about providing an Internet connection for all their tech toys, but it can be so much more. Here are a few ideas of what you can do with a home network – check out the last part of this guide for other home networking scenarios. For the youth of today, multiplayer is synonymous with “online” gaming, but most games actually allow you to play multiplayer with other devices on your home network. It’s unlikely you’ll have 4 Xbox consoles, but you might have a few old computers that are capable of playing Minecraft. If you have friends with a laptop, you can invite them round and have a LAN party. Here’s my pick of 7 classic games to get your LAN party going Planning A LAN Party? These Classic Games Will Get It Going Planning A LAN Party? These Classic Games Will Get It Going In a time gone by, multiplayer gaming basically meant gathering some friends round your house. For the console gamers it was huddled round a split screen, but those able to lug around huge PCs had... Read More , and our ultimate guide to running a LAN party The Ultimate Guide To Setting Up An Awesome LAN Party The Ultimate Guide To Setting Up An Awesome LAN Party The LAN party is an event that started out of necessity. PC gaming was a thing well before the Internet, and no Internet meant no multiplayer – unless you took your machine to a friend’s... Read More . “Streaming” doesn’t need to be from Netflix – if you have a collection of movies stored on your computer, you can use an application like Plex to share them across your home network. Plex has a beautiful interface, identifies your movies automatically, and runs on every platform – so you can start watching on your TV and finish watching in bed on your iPad. Here’s our full guide to Plex Your Guide To Plex - The Awesome Media Center Your Guide To Plex - The Awesome Media Center If you have a lot of locally-saved movies and TV shows, you need to install Plex. And this is the only guide to getting started with Plex you'll ever need to read. Read More , and you might also want to consider a premium Plex Pass Making The Best Media Center Better, With a Plex Pass [Giveaway] Making The Best Media Center Better, With a Plex Pass [Giveaway] Love Plex? You'll love a Plex Pass even more. With new and exclusive features only for Plex Pass holders, it's the best way to support development of the best media centre app around. Read More for even more great features. If you’d like a more extensible media centre with plugins, XBMC/Kodi is a great choice too. (We have a guide on setting up XBMC How to Set Up Your XBMC Media Center How to Set Up Your XBMC Media Center XBMC may have evolved into Kodi, but if you have an old version installed this guide will help you set it up and get started. Read More too, but it’s a little out of date). At a basic level, a home server can act as a shared file store and perhaps shared printing, but you can also leave it open to the world as a web server to host your own website for free; or as a PBX call management system; or run your own Minecraft server… the possibilities are endless. Later in the scenarios section, we’ll talk specifically about setting up a web server that’s open to the public. Sitting at the sofa, but still need access to your main computer? With a home network, you can. Try these free remote desktop apps for the iPad The Best Free Remote Desktop Apps for Your iPad The Best Free Remote Desktop Apps for Your iPad If like me, you often find yourself in the position of official technical support for your family and friends, you'll know oh too well the pain of trying to explain something over the phone. The... Read More . If you’re a keen gamer with a Steam account and a good gaming rig, you no longer need to be tied to that machine to play your games: using Steam In-Home Streaming, you can harness the power of your gaming machine, but play somewhere else. It’s a great way of sharing your Steam library with the whole house, so you don’t need to buy yet another gaming PC. Valve recently announced a $50 Steam Link device due to launch November 2015, which hooks up to your TV to enable streaming games to a big screen (with a very small price tag). There’s never been a better time to be a gamer! These devices are at the heart of a home network, so it’s important you understand what each one does and why you’ll need them. A modem is supplied by your ISP, but you should ask yourself if it’s worth renting from your ISP or buying your own modem. The modem is used to turn their proprietary network signal—running through a phone line, copper coaxial, or glass fibre—into a standard computer network signal. In times gone by, you could actually hear the modem dialling a telephone number to establish a connection over the phone; but today they operate silently, often over a different infrastructure to your landline telephone. A router acts a central point of contact between every device on your network, and the Internet connection provided by your modem. All modern routers will include Wi-Fi connectivity, plus a number of LAN ports – usually up to 4. In some cases, the modem will be built into your router, so the ISP only supplies you with a single device. It’s also usually possible to configure these modem routers into “modem only” mode, in which only a single network port is enabled and all Wi-Fi features disabled – this is great if you want to buy a router more suited to your needs. If you have a separate router and modem, your router will plug in to the modem through an Ethernet cable, using the WAN (Wide Area Network) port on the router. From Netgear’s support page, showing the ports on the back of a typical router. Although the WAN port is physically identical to the local network ports, the router will have a built-in firewall for traffic entering that port only – while the internal network is trusted fully. Switches (and hubs) are used to extend a network, taking one port of your router and turning it into many more ports. Consumer switches can typically be bought in sizes of 4, 8, 12, 24-port models. Though the terms hubs and switches are used interchangeably, historically there was a difference in the way that they would relay the signal: hubs would blindly repeat any incoming signal to every other machine on the network; switches are intelligent enough to take an incoming signal, look at where it was going and only relay it to the relevant outbound port. Today, they mean the same thing. Most switches you’ll find in a home network are unmanaged, which means there’s nothing for you to configure – just plug them in and they work. Managed switches are more expensive, and can be set up with features like Quality Of Service (which means you can give priority to data-packets from Skype, for instance, so you always have the best call quality). There are various ways you can connect devices in your home network, which offer vastly different performance and have their own pros and cons. Be informed before you purchase. A LAN or Ethernet network refer to physical cables which plug into your router or switch through one of the available LAN ports. You are limited by this number, but can expand the network using additional switches (see the next section, Expanding Your Wired Network). LAN cables can achieve speeds of up to 1,000 Mbps (“Gigabit”) easily, though some older computers may be limited to 100 Mbps. In addition, LAN cables can be run up to 100 meters without any degradation in performance, so the only real limiting factor is how many holes in your walls you’re willing to make. If the answer is “none at all”, and you don’t like messy cabling between doorways, read on for alternatives. Wireless networking works over radio waves and doesn’t require any wires at all. Although this sounds great in theory, wireless connections often suffer from limited range due to structural elements of a building and interference from other devices. 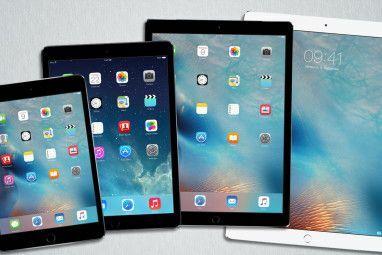 The latest Wi-Fi standard is 802.11ac (or just AC for short), which promises up to gigabit speeds, though this requires both a compatible router, compatible Wi-Fi devices (the iPhone 6 was the first Apple device to support AC, for instance, so you may find a lot of your devices won’t support it), and ideal conditions. Rather than blindly radiating the same signal out in every direction, 802.11ac (and 802.11n to a lesser degree), allows the router to focus the signal into a beam centred on the remote device – resulting in a faster, more reliable connection. This terrifying device is the Nighthawk X6 – the latest Wi-Fi router from Netgear, capable of 3.2Gbps combined Wi-Fi speed. With a higher latency, more prone to interference and errors, Wi-Fi should only be used when absolutely necessary – such as mobile devices. Cabled connections are always preferable for full size desktops, gaming consoles, and media centers. Power Line networking involves piggybacking a network signal on top of mains power electrical distribution, by manipulating frequencies not used for the AC current. All that’s needed are some inexpensive adapter plugs (such as this model for around $30) which can then be connected to devices by standard Ethernet cable – you don’t need any special drivers. The network signal itself is carried all over your house through the existing wiring, so it’s a great solution where installing traditional network cabling isn’t possible but you want better performance than wireless. Though the technology got off to a shaky start when it was first launched, things have improved to the point that you now get half-gigabit speeds with optimal conditions – though will vary depending on the age of your household wiring, the distance between the points, radio interference, and whether it’s a full moon that night (Okay, I’m kidding about that last bit). The Netgear range features a special test LED which indicates whether the plug is suitable, so you can try out a few sockets without running your own performance tests – though if none of the sockets pass, you’re out of luck. Power Line networking – otherwise known as Ethernet over Power (EoP) – is not to be confused with Power over Ethernet (PoE), which enables small devices to be powered directly over the Ethernet cabling, reducing wiring complexity and useful for things like IP cameras. It requires a compatible router/switch, and unless you need PoE for a specific device, it’s safe to forget about it. In short: using wired Ethernet connections is always preferable. It offers the fastest speed, the best reliability, and the lowest latency. Use wireless only for devices where you don’t have the option, and don’t buy waste money on a fancy wireless-AC router unless you know your devices support it (our advice from 2013 Should You Buy A Wireless 802.11ac Router? Should You Buy A Wireless 802.11ac Router? 802.11ac promises blistering speeds, but many consumers are just now getting around to upgrading to 802.11n, leaving many to wonder if the new version is worthwhile. Read More about AC-routers is still relevant today, sadly). Power Line adapters are risky, but may be preferable to wireless if you can’t run cables and aren’t getting good wireless coverage in a specific area of your home – thankfully they’re now relatively cheap (less than $30-$50 for a starter pack), so it’s not a huge loss if they turn out to be useless. Run out of Ethernet ports on your router? No problem: just buy a switch to add more ports. Switches come in a number of sizes and can cost as little as $30 for a Gigabit 5-port switch. Note that one port on both sides will be used as an interconnection, so a 5-port switch actually only has 4 useable ports to connect more devices, and you’ll be losing one of your router’s ports too (so if your router has 4 ports which are currently in use, adding a 5-port switch will give you 3+4 ports in total). If you need to expand again, it’s best to use one of the original ports on the router – while daisy chaining switches together is possible, you will introduce a small amount of latency each time. If there’s no other option though because the router is too far, daisy chaining one or two times is still preferable to other technologies like Wi-Fi or powerline. Do I need crossover cable? No. You may have heard that crossover network cables are used to connect thing like switches and routers, but modern hardware is clever enough to do this crossover in firmware – there is no need to use special cabling. On some switches, you may still have a designated “uplink” port, or even a physical button to change modes – use this as the interconnecting port. Ever held your phone up in the air to try and get another bar of signal? Wi-Fi is no different – there’ll be some places around your home that just don’t get a signal. Perhaps there’s a mesh of metal somewhere, or just too many walls. Wi-Fi is quite fickle really; avoid issues by setting up your network correctly 10 Wrong Ways To Set Up Your Wireless Network 10 Wrong Ways To Set Up Your Wireless Network Set up your wireless network properly by learning from these ten avoidable mistakes. Read More in the first place. Jason Cole even went as far as to develop a reliable mathematical equation for calculating this, which confirmed his suspected wireless dead spots What Is A Wireless "Dead Zone" And How To Eliminate It? What Is A Wireless "Dead Zone" And How To Eliminate It? We take Wi-Fi for granted, but it's not magic -- it's radio waves. These radio waves can be interfered with or obstructed, producing wireless "dead zones" or "dead spots." Read More . You can do something similar by walking around your home with a laptop, using an app like NetSpot for Mac or HeatMapper for Windows. Of course, the app can’t fix these, but you might then consider repositioning the router and testing again. Read our guide on Wi-Fi Feng Shui Wireless Feng Shui: How to Optimize Your House For Best Wi-Fi Reception Wireless Feng Shui: How to Optimize Your House For Best Wi-Fi Reception Setting up a Wi-Fi network should be an easy prospect, shouldn't it? I mean, a house is a closed-in box, and you'd think when you place a device that transmits wireless signals in all directions... Read More to learn all about the best positions. The wireless spectrum is a generally a busy place, particularly if you live in an urban environment. Sometimes you’ll get bad wireless performance simply because you’re using the same “channel” as everyone else. There are around 12 different Wi-Fi channels available (the exact number depends on where you live in the world), and you’ll get better performance if you find a channel that no one else is using: how to find a unique Wi-Fi channel How to Pick the Best Wi-Fi Channel for Your Router How to Pick the Best Wi-Fi Channel for Your Router What's the best Wi-Fi channel for your router and how do you change it? We answer these questions and more in this quick guide. Read More . A modern router should do this automatically though. There are also legally dubious options available to you: by replacing the firmware of your router with something like DD-WRT (What is DD-WRT and how can it make your router into a super-router? What Is DD-WRT And How It Can Make Your Router Into A Super-Router What Is DD-WRT And How It Can Make Your Router Into A Super-Router In this article, I'm going to show you some of the coolest features of DD-WRT which, if you decide to make use of, will allow you to transform your own router into the super-router of... Read More ), you can “overclock” the Wi-Fi signal to transmit stronger than legally permitted, or to use channels that are not allowed in your country. These may land you jail time! If your mobile devices support it, upgrading your router to one capable of 802.11ac can improve performance, as it introduce “beamforming” technology to focus the signal just where needed. Image from Apple.com, explaining the AirPort Extreme with 802.11ac “beamforming” technology. Commercial Wi-Fi extenders: running from $40-$100 and up, these simple devices can take your existing signal and “repeat” it. However, there is an overhead to doing this – expect speeds to roughly halve. Repurpose an old router to do the same job. This may involve replacing the router firmware with DD-WRT What Is DD-WRT And How It Can Make Your Router Into A Super-Router What Is DD-WRT And How It Can Make Your Router Into A Super-Router In this article, I'm going to show you some of the coolest features of DD-WRT which, if you decide to make use of, will allow you to transform your own router into the super-router of... Read More . Try some DIY methods that focus the antenna in a specific direction using some kind of metal can. Alternatively, consider Power Line networking instead (see the section on types of network earlier in this guide). Megabits vs Megabytes: This can confuse the best of us, so before you complain to your ISP that you’re not getting the quoted speed, let’s take a moment to examine the difference between Megabits and Megabytes. File sizes are quoted in Megabytes or MB – notice the uppercase B, which means Bytes; network speeds are quoted in Megabits, or Mb (and the larger Gigabit, which is 1000 Megabits). Crucially, a bit is 1/8th of a byte. So, if you have Gigabit internet speeds (1000 Mbps), this means you can achieve a theoretical maximum throughput of 125 Megabytes per second. The slowest and worst kind of Internet available, mostly restricted to extremely rural areas. Dial-up requires your computer to literally make a phone call to your ISPs server. Top speed of 0.056 Mbps. Avoid if at all possible, because even loading the simplest of web pages will be tedious. Also done using a phone line, but technological advances mean speeds of up to around 30 Mbps (downstream) / 5 Mbps (upstream) are possible – more than enough for the average home user. ADSL connections can be quite unreliable though, since it uses the same antiquated infrastructure as telephones. Speeds are not guaranteed, and will vary greatly depending on local conditions, other users, and distance from the telephone exchange cabinet. Avoid if possible, but for most consumers not living in a built-up area, ADSL is your only choice. The most common type of fibre-Internet available in which glass fibre cable is used as the backbone of the network, but the final leg of the journey from the provider’s cabinet to your house is done using traditional copper cabling. Speeds on this type connection currently max out at around 120 Mbps, though this may improve in future. You will be limited by how far you are from the cabinet – the further the signal has to travel over copper, the worse the speed you’ll be getting. The fastest Internet currently available involves bringing the glass fibre cable directly into your home. These provide anywhere up to 1,000 Mbps (or “1 Gigabit”), though again this may improve in future and could be enabled simply with a new router or firmware upgrade. If you want the best of the best, ask for fibre to your home. Read more about the differences between fiber connections to your home What's the Difference Between FTTC and FTTP, and Why Should You Care? What's the Difference Between FTTC and FTTP, and Why Should You Care? We've all been there at one point or another. Sick of our Internet service, looking for a new way to connect to the Internet, but confused by the many different options. Read More . Where a fixed line isn’t available, you may also have the option of using a mobile connection – 3G or 4G/LTE – via a USB dongle. You’ll need a suitable router (such as this one from D-Link), as very few will support a USB internet connection. Mobile connections come in a variety of flavours: 4G+, 4GX, XLTE, LTE-A, and VoLTE What the Heck Do 4G+, 4GX, XLTE, LTE-A, and VoLTE Mean? What the Heck Do 4G+, 4GX, XLTE, LTE-A, and VoLTE Mean? The names of our Internet speeds and services can undoubtedly be confusing. Read More ; click on the link to read more about their differences. For extremely remote areas, broadband speeds can also be obtained using satellite communications. There are typically restrictions on the amount you can download each month, though speeds will be comparable to a good quality ADSL line or fibre-to-cabinet connection. They involve high setup costs, and monthly fees are more expensive than regular broadband. Satellite connections are high latency, which means that although they’re fast once the download request has been established, the initial request can be quite slow, making them unsuitable for things like online gaming and video chat. Each device on your internal home network is assigned a private IP address, of the form 192.168.x.x or 10.0.x.x (Why these particular numbers? No reason, it was just decided that these were the numbers that would be reserved for private networks). To find out your public IP address, the easiest thing to do is literally just ask Google, “What is my IP?” For a detailed report including a rough location, use whatsismyaddress.com. 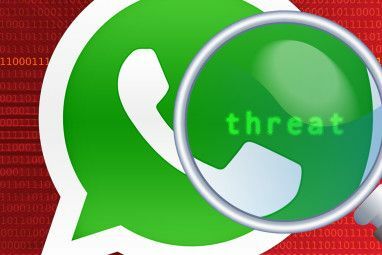 This is a great time to bring up an important security issue you need to be aware of. As far as the Internet is concerned, your house has a single IP address and potentially just a single computer. It doesn’t know the private IP addresses of each device on the network – it only knows the public IP address of your router. That means that if you live in shared accommodation, or if you allow your neighbours to use your Wi-Fi connection, it is impossible for the outside world to tell from which computer any activity occurred. Or in other words, you (the account holder with the Internet Service Provider) are held responsible for everyone in your household (and neighbours, if your share your connection) and anything they do online. It’s important to educate every member of the household to use the Internet responsibly, and not to share your Internet connection with the neighbourhood! 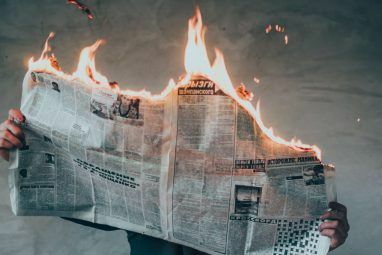 You may also have heard that the world is running out of IP addresses IPv6 vs. IPv4 : Should You Care (Or Do Anything) As A User? [MakeUseOf Explains] IPv6 vs. IPv4 : Should You Care (Or Do Anything) As A User? [MakeUseOf Explains] More recently, there's been a lot of talk about switching to IPv6 and how it will bring a lot of benefits to the Internet. But, this "news" keeps repeating itself, as there's always an occasional... Read More , and everything needs to be fixed by upgrading to IPv6. This is true, but you needn’t worry about it. When your ISP upgrades to IPv6, they will replace your router to one that’s compatible. Your home network can continue to operate on IPv4, with the router handling the address translation between the Internet and locally. Most of the time you can forget all about IP addresses: computers and devices will appear automatically on the Windows or OS X network browser. But sometimes it’s useful to know the IP address if something needs to be configured manually, and there are couple of ways to go about doing this. On a Windows PC, open up the command prompt and type ipconfig – you’ll find your IP somewhere in the output. On Linux and OS X, open a terminal and type ifconfig instead. You might also prefer to use a graphical interface for browsing networked machines. For OS X, I recommend IP Scanner Home. It has a built-in database of manufacturers, so having discovered a device, it probes to see if it can automatically identify the type of device (and assigns a cute little icon for easy identification). On Windows, Advanced IP Scanner does a similar job. At this point, you might be wondering – What’s a MAC address? It stands for “Media Access Control address”, but really it’s just a kind of serial number that’s encoded in the hardware itself. Each manufacturer has their own unique start number, so you can often tell who made the device by checking the MAC address. In theory, no two devices in the world should have the same MAC address, but this can’t be relied upon for secure purposes as some devices are able to reprogram their MAC address (and hence, they can “fake” being something else). IP addresses are dynamically assigned by DHCP (Dynamic Host Configuration Protocol) – it’s your routers job to manage this, and ensure that no devices are given conflicting addresses. Devices must occasionally “check-in” with the router to say they’re still alive (powered on) and still need the address; if your router restarts or its configuration changes, it’s possible that machines on your network will be given a new address. This can sometimes be problematic – read the scenario on how to set up your own web server later in the guide for an example of how to overcome the problem of changing IP addresses. Many new printers come with built-in networking capabilities – some are even wireless. But if you already own a printer, it’s useful to share that printer on the network so that any computer can use it – not just the “host” machine that the USB cable is plugged in to. What are your options? If the host computer is running Windows 7, simply enable the Homegroup feature. Windows 8 users can follow this guide. If the host is off or sleeping, the printer will be inaccessible. Share your printer with anyone in the world How To Share Your Printer With Anyone On The Internet How To Share Your Printer With Anyone On The Internet Windows 7’s Homegroup feature makes sharing printers on your local network easy, but what if you want to share a printer over the Internet? This has traditionally been very complicated, involving print drivers, firewall rules... Read More via Google Cloud Print. Again, this requires the connected machine to be left running and will only work from within a Chrome browser session, but it does then open up possibilities to print from Google Docs or Sheets on a mobile device. Buy a print server. A wired print server can be bought for as little as $30, allowing you to place it next to your network switch or anywhere you can get a network cable to; wireless ones are considerably more at around $60. Use a Raspberry Pi to make your own wireless print server Make Your Own Wireless Printer With A Raspberry Pi Make Your Own Wireless Printer With A Raspberry Pi Fewer cables, flexibility about where you can put your printer – wireless printing is a win-win. Unless you have an older printer. Raspberry Pi to the rescue! Read More . The total cost is about $45 including the wireless adapter, but if you’ve already got a Pi sitting on your network gathering sensor data, it would be cost effective to repurpose it as a print server too. Check your router – if it has a USB port, it’s probably able to act as a print server. The Apple Airport Extreme can do this, for instance – but the one given to you by your ISP might not. AirPrint is a special protocol that enables you to print from Apple iPhone and iPad devices. Despite Apple Airport Extreme, AirPort Express and Time Capsule hardware having the capability to share a USB printer, it doesn’t magically turn that printer into an AirPrint compatible device. There are however two ways you can go about adding AirPrint to a non-AirPrint device. The first is by using the same Raspberry Pi hack described above; just install some additional software on the Pi Add AirPrint Support To Your Raspberry Pi Print Server Add AirPrint Support To Your Raspberry Pi Print Server Do you want to be able to print from your smartphone or tablet to your old-fashioned, non-wireless printer? With a Raspberry Pi, you can. Read More , and your non-networked printer will be both shared on the network and AirPrint-compatible. If you don’t want to spend the $35 on a Raspberry Pi, your other option is to keep the printer connected to a Mac that’s almost always left on, and to run some software such as Printopia. Printopia costs $20, though there is demo available so you can see if it works in your setup. Check your router first: if it has a USB port, it can likely share anything plugged in automatically. You can also purchase something called a “USB NAS adapter” for around $100; these simply take a USB drive, and turn it into networked storage. They aren’t fully-fledged NAS devices so you won’t find drive redundancy or server features, but they will serve as a simple and reliable file store. The Pogoplug (currently $20, down from $100, which may indicate a new model is imminent) is one such device. There’s also the DIY route, with a Raspberry Pi Turn Your Raspberry Pi Into An NAS Box Turn Your Raspberry Pi Into An NAS Box Do you have a couple of external hard drives lying around and a Raspberry Pi? Make a cheap, low powered networked attached storage device out of them. While the end result certainly won't be as... Read More . There are a number of steps to this: the first is to actually install a web server – typically, you’ll use an older computer and install a ready-made web server linux distribution How To Set Up An Apache Web Server In 3 Easy Steps How To Set Up An Apache Web Server In 3 Easy Steps Whatever the reason is, you may at some point want to get a web server going. Whether you want to give yourself remote access to certain pages or services, you want to get a community... Read More , which automatically configures components such as Apache and a MySQL database. You can also try a more generic “home server” distro such as Amahi How To Create A Home Server With Ubuntu, Amahi & Your Old Computer How To Create A Home Server With Ubuntu, Amahi & Your Old Computer You’d have thought the world was coming to an end when James discovered that Windows Home Server – Microsoft’s $50 set-and-forget network storage solution – was being axed in favour of a far more expensive... Read More , which includes a web server, file server, and other apps. Our most recent guide on setting up a webserver is for Raspberry Pi How to Host Your Own Website on a Raspberry Pi How to Host Your Own Website on a Raspberry Pi Need to run a website but can't afford the hosting costs? Build your own LAMP-capable web server with a low-powered Raspberry Pi. Read More , which makes a good low-performance low-cost web server since it can be left on without consuming a lot of electricity. The final part is to give your web server a domain name. If you don’t want to pay for one, try using one of these free dynamic DNS providers. Home networking opens up a whole new world of computing; the possibilities are exciting and endless. That’s all for our introductory guide, but if you have some specific scenarios you’re struggling with or need some general networking advice, please ask in the comments and I’ll try my best to answer or point you in the right direction. If you’re curious about routers, look into our guide on how to set up a VPN on your router How to Set Up a VPN on Your Router How to Set Up a VPN on Your Router Installing a VPN is a great idea. But running the VPN app on each device is a pain. The answer is to install a VPN on your router. Read More and the best VPN routers you can buy The 5 Best VPN Routers The 5 Best VPN Routers Instead of setting up a VPN account on every device, why not upgrade to VPN router and protect every device in the house all at once? Read More . Explore more about: Computer Networks, Ethernet, LAN, Longform Guide, Powerline, Wi-Fi. What Is Data Corruption? How to Fix a Corrupted Hard DrivePC Benchmark Tests: What Are They, And Do They Actually Matter? Hi so I’m not exactly a novice when it comes to electronics and internet but I was wondering about connecting my satellite modem-router to the phone lines in the house via Ethernet cable, if it would send a wired connection throughout the house in the phone line(the house is 19 years old and used to have dial up) would that even work? THEN, in theory, you could use the same wiring as a very slow Ethernet (10baseT speeds, most likely). In other words, it would be a lot of effort for very little reward, and Wi-Fi would be faster. If your house is only 19 years old, it should be very easy for someone to drop Ethernet through the walls. Typically I would connect that device directly to my laptop with a RJ45 cable and change my network adapter IPv4 IP address and subnet mask to 192.168.255.130 and 255.255.255.0 respectively. But I want to access that device through my laptop via a wireless connection. I bought a WiFi router for that purpose. However, I cannot seem to get the connection right. Please can you help? THANK YOU! This article is well written and easy to understand. I have been trying to teach myslef the best ways to optimize performance between my multiple smart TVs, Laptop, PS4, iPhone, iPad, and printer. I have DSL from CenturyLink with one phone line installed in my master bedroom, of course it's in one corner of the house. I have read a dozen articles who seem to be written by people who forget that not everyone knows what all the acronyms mean and which ones are interchangeable. Thank you. I will be purchasing some Poweline adapters first, my house was built in 2001 so the wiring should be good to go. Lets hope at least. Great article, I am new to home networking and have a specific apple problem. If there is any chance you can help me that'd be great. We just built a house and I had two cat6 runs installed. one to my tv and one to my office. I have the modem connected to an apple airport extreme thats running cat6 into the wall that goes to my apple tv. I want that hardwired for better streaming. But the apple tv isn't reading the connection and remains connected to the wifi the airport extreme is putting out. There is also no green light indicating a connection on the LAN port of the airport. Is there an extra step I have to do? Like manually setup a hardwired network through airport utility? or should it just connect automatically and maybe theres a bad connection somewhere? I have another ethernet running from the airport extreme to my computer and that works fine? Maybe something's wrong with the wiring to the apple tv. Thanks for your help, having a hard time finding this answer online. - Have you got another device you plug in to test the cabling, or an Ethernet cable tester? You need to rule out the cable itself being damaged. - I'm not familiar with Apple TV, but there are similar reports: https://discussions.apple.com/thread/3754557 - if you've verified the cable works with somethign else, but no light comes on with just the AppleTV, then there's a hardware problem there most likely. - Are you in the UK, and do have a BTHomeHub? Mine caused all manner of problems due to the "smart filtering" features that required every new device to open a browser first and answer a question about turning the feature on or not. Once I'd disabled that in the router setup, things started working again . Thanks for the reply, I just tried hooking up a a few different cables and another device and still no connection. I just reached out the installers to come back and take a look. If there's no problem with the connection I'll look into the apple tv. May have some more questions for you in the future. Excellent article! I've been running home networks since the 90's. However I'm having difficulty with my latest problem. I've moved to a home that does not have wired internet providers and few affordable wireless providers. However I have access to a wifi hotspot that requires a browser sign in. Since most of my devices don't have browsers, I'm using a Windows 10 laptop for the internet connection and established a hosted network LAN on it with a bridge to the internet connection. I have 2 other laptops, a network printer, Smart TV and Samsung BluRay connected to the hosted network and everything seems to be working. Everything is connected wirelessly . I want to use a EoP from my router to the back of my house and connect that to a high power repeater to get wifi in my backyard for cameras to connect to. Will this work? Alternately, I was thinking of just creating a separate wireless network in the yard for the cameras using a non-internet connected router, high power repeater, and NVR for storage. I'm just not sure any of this will work and God help me if I have to manually configure anything. I don't see a reason for that not to work. The only question is whether EoP / Powerline is compatible with your power system (it really depends how old your system is and whether there are isolated circuits) - and how far the Wifi repeater will reach. Outside will get the best reception, 2.4GHz will travel furthest, so how far does it need to go? If you can get a repeater with an external antenna that you can upgrade, even better. Wonderfully done but no info on CAT5 cabling for home networks. I am trying to use a printer down stairs for my computer upstairs in my house which was built using the CAT5 system. My desire is to get rid of 1 printer & use just the other which is bigger & better but located downstairs & at the front of the house. Any advice would be great. Thanks very much. i have an issue with both my laptops. im playing ESO with my wife and we have and LTE connection. by itself it is very strong. but when both trying to play 1 is always getting kicked out or not able to log in. Probably not. It sounds like the game is trying to use the same port on your router, so only one of you can play at a time. Software problem. Hi, thank you for this article and for offering to try to help with questions! I play Minecraft with my son, and I need a little help with the ethernet switch I just purchased so we can play local LAN games with his friends when they come over. He is running PC, I have a Mac. I host the game on the Mac. We turn off the internet on both of our computers prior to starting Minecraft. Right now I can set up and successfully get him to connect to my LAN world using just an ethernet cable between our computers. When I try using the 5 port ethernet switch I just purchased (Netgear) he is disconnected from the LAN game shortly after logging in which will be an issue when some of his friends want to come over and play. Is there some sort of port forwarding or configuration I need to do with the Netgear switch? My research has come up with nothing so far (everyone says the switch is plug and play, but not in my experience). Any thoughts on what to try? Hi Sally. That sounds like fun, and I can't wait for my son to be old enough to do that too. Also, you should try MineCraft in VR: it's crazy. Quick question though: why are you disconnecting the internet? The problem with doing this is that your internet router gives out IP addresses, which are needed for each machine on the network. While it is possible to run completely offline if you manually configure every machine and assign the IP addresses yourself, it's an awful lot of effort. You'll also need to ensure that every machine is running the correct version of MineCraft - probably the latest - which means connecting to the internet to download an update. The easiest thing to do would be to just plug the switch into your router via the uplink port (probably 1 or 5 on the switch, it should be marked). Then plug everything into the switch and it'll automatically work. However, the fact you're being disconnected indicates perhaps it's a versioning problem. Ensure both the server and client versions are the latest, and matching. Do you have a separate licence for each of you? You'll need an individual licence for each client, even if the internet is off. I have set up a mostly wired network at home and invested in a Netgear x8 Nighthawk. This is probably overkill but it does let me get wifi in the back yard and is a massive improvement on the native comcast router. One question I have is that I have been quite frustrated with the wired network performance. I have an 8 port TP-link 1GB switch in my basement that the router is wire connected to. I then have the same switch in my family room that is wire connected to the basement switch. The family room switch has several devices connected to it -> a smart tv, apple tv (3rd gen), home theatre receiver, blueray player etc. All of these devices, however, seem to suffer from poor performance. The smart tv (samsung) takes forever to access any content so I never bother to use it. The Apple TV seems to be ok streaming but I often find when I airplay to it from my (wired) mac-mini, the content can get super patchy. For example, on many occasions music has just dropped out completely. I don't really know how to go about diagnosing where the problem is - whether it is with the switches, the wiring or the actual devices. Do you have any suggestions on where to look first? I was thinking of buying a NAS too and locating it in the family room so I could output directly over HDMI to the smart TV but if there is a network problem in that location I am a bit worried that anywhere else in the house is going to have a problem accessing the content on that NAS or backing up to here. Excellent article but being not so skilled in this area i am trying to understand my best and affordable option in creating a home network. From what i understand it is not given that the most powerful router automatically will give me highest WIFI speed. The weakest link in my network will also slow everything down. Am i right so far ? We dont have the latest and most powerful computers in family, but decided to abandon ADSL 6 Mbit/s and instead go with Fiber 100/10. In reality i will get about 10 MB/s if i understand this correctly. And even if i went with 1000 mb/s i still wont get any faster WIFI as PC and routers sinmply cant deliver or recive that speed. If i ask 10 persons i will basically get 10 different suggestions on what will be best for me. Our 3 year old Netgear N300 does not seem to do the job. AC powerline adapters cant be trusted as it seems and we cant connect Ethernet cable to all our devices. Should i even have 100 Mbit or can i save some money and have 50 Mbit/s and still get same speed ? You get these type of questions quite often i noticed, but i simply dont know where to start. The only reason to get more than about 25MBit is to use streaming services concurrently, so you're right in the sense than a single machine wouldn't really benefit from a 1000MBit (or 1 Gigabit) connection. If you won't be watching netflix on different machines at once, or playing lots of online games at the same time, you don't really need faster internet. Even if you do buy a new router with better Wi-Fi, your devices would need to support higher Wi-Fi speeds to take advantage of that. The N300 for instance, goes up to "N speed". This is as fast as most devices can go - unless you have the very latest devices, which can use AC-speeds. If you have *some* devices that can use AC speeds, it's certainly worth upgrading, as these are run through a different frequency, freeing up the other one for older devices. At the moment, your Wi-Fi devices are all sharing that same N-band frequency range. Powerline adapters are better than Wi-Fi, most of the time. An actual Ethernet cable connected to your router is even better. Where possible, always use wired connections. So, you really need to consider exactly what devices you're connecting to the network. How many computers, how many tablets, how many mobiles? What speeds can the mobile devices use? In short: Upgrading your router will almost certainly help, but the exact benefit you get will depend on the devices you're connecting to it. I'm looking for a way to ensure full time reliable internet connection when streaming or gaming. Currently, if another device joins the network when i'm using the console (connected via ethernet) network speed and reliability falls dramatically. Would a switch ensure i didn't experience this disruption, should i look at enabling QoS or even buying a second router to create a sub network? No, it sounds like your problem is just very slow internet. Unfortunately, another router or switch will not help, as it'll only speed up your internal network, not your external connection. Thanks for a speedy reply James and for a fantastically informative article above as well. Is it ok if i provide my internet speeds to confirm whether that's the issue? When tested i get around 45Mbp/s download speed and 1.6Mbp/s upload speed with 10m/s to 30m/s of ping and JItter between 3 and 11ms. Hmm, that is odd... obviously that's a fast internet (albeit quite a slow upload, but not slow enough to cause an issue). What is your current router? It really doesn't make sense that you can only use a single device. Excellent article, well written. Thank you. Question: When the grandkids arrive with their devices, grandma and grampa's computers sometimes get bumped off the internet...maybe a lack of sufficient IP addresses? If we buy a powerline network device, essentially hardwiring our computers to the router, will this prevent us from being left without a network connection when more devices than usual are on our home network? You should have over 200 internal IPs available to use, so it's not a case of running out of them. You should always hardwire devices that can be hardware, simply because it's better speed and will free up Wi-Fi for devices that have no choice. It's possible your Wi-Fi is quite slow, but I've never heard of a few extra devices causing enough congestion to boot existing devices off the network. Is it possible the grandkids are doing something quite bandwidth intensive, like streaming HD movies or downloading things? If your internet is ~5Mb or slower, that would be a bottleneck when they do something intensive - your internet just may not be fast enough for everyone (in which case, changing your internal network with PowerLines and such won't help). Yes, we are 1.5 in each direction. But shouldn't more people online slow things down rather than tell us "No Internet Connection?" That speed isn't really suitable for a single machine nowadays, let alone multiple ones! When something is so slow that it just times out, it can lead to that message in your browser. The browser just "gives up" and assumes something is wrong with the network. So if it's your browser telling you there's no internet, it's probably just so slow that it gave up. If it's your operating system giving you that message though (like, a popup in the bottom right notification area), it sounds like a problem with your router. Do you know what model you have? Are you connected over a wired connection, or are all your machines wireless? Try switching to wired and see if that makes a difference. It'll try to contact Google and tell you how long it took (in milliseconds). Now try adding another device on the network, and have them browse the internet or watch YouTube or something they would normally do when it cuts out. Try again. Do you still get a ping back? Does it take longer? Hello James- As others have said, thanks so much for such a great explanation of a home network. I would like to ask you about my specific situation and get clarification on the best route to take. I currently use one router (Linksys EA6500) hooked up to the modem provided through my cable company. However, I have two other routers I've used in the past just sitting around collecting dust. They are both Linksys routers (EA2700 & WRT54GS2). After reading the various options in this article, I would like to hook these up and use to enhance and extend my network. I read the links provided on DD-WRT, Super Router and the one regarding Port Forwarding. However, I'm not very clear on which actions I should take...if not both. If you could let me know what you think would work best in my situation, I would greatly appreciate! The WRT54GS2 is still highly sought after for running DD-WRT, so I'd suggest installing that on there and taking a look at the features it offers - might spark some project ideas. It really depends on what you're trying to achieve. I'm not sure it's worth doing anything with the EA2700, though I suppose you could disable the routing features/wifi and just use it as a 4 port switch for wired devices somewhere. Hi, these are best web content I have ever seen, scientifically written. 1. Where I need 3-4 PC placin over 2-3 floors with Windows 7 can be connected for doing video editing work, for example 1 pc have more ram and best video card to render other PC's Video content after finishing editing.I preferably needing very high speedwireless connection may be 1gb ps. 2. Where I need 3-4 PC placin over 2-3 floors with Windows 7 can be connected for doing video editing work, with wifi storage to access same USB3 HDD from different PCs at a time .I preferably needing very high speedwireless connection may be 1gb ps. What best and cheap gear I should buy for this connection as I need highest posible bandwidth,exchanging data between Pcs. There's no such thing as high speed wireless, not really, and not when you're talking about shifting around large amounts of data. At a consumer level, you'll want wired, Gigabit ethernet and CAT6 cabling. To access data from multiple PCs, you'll need a NAS (Network Attached Storage) device. This is the one I use: //www.makeuseof.com/tag/synology-diskstation-ds413j-nas-review-and-giveaway/ - though there are newer models now as the review is quite old, but I do recommend Synology Diskstations. I have a business network and I am trying to get a wireless router configured so that I can have wifi for my customers. I do not have the IP addresses for the juniper or the netgear, if they even have ip addresses. To get Wi-Fi, you shoudl be able to just plug a Wifi enabled router into the Netgear switch, using the WAN port of the router. By default, this should create a new network and isolate it from the regular business network, but you can also configure most routers to operate as a bridge in case you wanted customers to access your local business network devices too. You don't need to know any IP addresses, as the router would automatically fetch one from the Juniper. I tried plugging the router into the Netgear switch, the result is that I get a signal from the router, however, I cannot access the internet. I read somewhere that I would need to disable the DHCP on the router. Do you think that would be the case? Hang on, this is a different router, right? If you want it in bridge mode, yes, but you don't need to manually disable the DHCP service - putting it into bridge mode would do that. But I don't think you want that - you want it to remain on a separate network, I think. Head into the router settings and make sure it's actually getting a WAN/Internet connection first. If you have more ports on the Juniper thing, try plugging the router directly into that, not via the switch. I have a scenario if i may ask.Not sure if you have the knowledge but i thought to ask, just in case. I am not the most knowledgeable on networking, so make it simple please..! Also, I haven't made any serious networking yet because i have a lot to consider first, such as the below scenario. - In ground floor is the Router AC (from ISP) and I have also my old router (FritzBox WLAN 7390) not used for the moment. I am thinking to turn the Fritzbox to Access Point for the second floor because the wifi signal is weak. - In ground floor i have also a Cable box for TV, the Minix U1with KODI for Live streaming, a Playstation and could add something more in the future. Is it possible to see content from all those devices from the ground floor to the TVs in the second floor? - to be able to control all ground floor devices from the second floor. Example 1: one tv is broadcasting cablebox content, the other uses the minix and the 3rd tv uses the playstation at the same time. I have been reading about HDMI over Ethernet, Transmitters and Receivers, cat 7 patch panels, HDMI matrix switch,.... etc etc! I am very confused and i need some specialized feedback! Do you believe that my scenario is realistic and it exists the technology to cover it or am i cloud dreaming? Can you give me some guidance where i should be looking at? - CAT7 is overkill. CAT6 will be fine for a very long time for household needs. - If you only have one port in every room, you'd need a switch. Best to run two cables while you're at it. - As above, avoid Wi-Fi for anything where it isn't strictly necessary - like mobile. - You *can* send HDMI over Ethernet in order to view video content on the other floor, but you couldn't then run that to your switch/router. It just literally means using an Ehternet cable instead of HDMI. If you really wanted, you could run an HDMI cable between rooms, but this seems like a silly way of doing things. Just use a central fileserver, and clients all over the house can view the content over the network. I can't think of another situation - like playing video games? That wouldn't be possible, because the controller signal wouldn't be transmitted, even if the video was. Best to just use a central filestore. - I guess that plays into your last point - controlling devices from other places. This is pretty complex, and generally not needed. You don't need to control your PC from another floor for instance, if you have a thin client to access the data. why is this so amazing and easy to use, great post. Hi, Great post, thanks for writing such a clear and basic introduction to the topic that is accessible to the layman. I have a roaming selection of equipment - basically a roaming home network. AC Wifi router, switch, computer (Ethernet connection to Hub), various IP based devices I need to control, iPad, iPhone with apps for control of IP devices. I use this setup everywhere I go for work and need it to be bulletproof so have set it up as a fixed infrastructure with fixed IP's. My question is how do I set up the router (it's an ASUS RT-A66U) and my computers and iDevices so that I can browse the internet through the local wifi access point but still see all my local devices and not let others outside my network access them? I'm confused about various modes for my router and which would be best for this? Plus I can also connect via wifi and ethernet at the same time to different networks. I want to stream hd movies from my computer to my smart tv.For this i used servio serveron my macbook but the movie doesn't plays well and it buffers on and on.i have sony bravia kdlhx750 tv my modem router is tplink td 8968. What should i do?? Are they both connected over Wi-Fi? Plug them in via an ethernet cable for much improved streaming speeds. Although, I'm not sure your macbook has an ethernet port, which would be a problem, obviously. Since it's portable anyway, why don't you just plug your tv into the macbook, and use the macbook to play the media directly, rather than streaming it? Yes they are both connected to same wifi network. Well i just wanted to know should i need another router modem or this tplink modem is ok for streaming media from macbook to tv?? No, WiFi is not ok, especially not at both ends. At least your server should be connected by a cable, but ideally both. Replacing your router will not help, it'll still stutter if you're streaming from a macbook. If your macbook is old, it may also just be too slow to act as a server. I purchased this macbook air in dec 2015 and i was previously streaming movies through servio server in my dell studio laptop and that time the 720 p movies were ok but 1080 p movies were stuttering. Now if i want to stream media what should i do so that I don't have to get up from my bed to change anything, like it was with dell laptop and servio server installed on it. Is there any device which can act as modem router and a storage server, so that we can attach a hard drive to it which has all the media???? Most modern routers have a USB port to connect a hard drive to, but it might not help your TV unless the router also runs server software which is DLNA compatible (which I'm guessing Servio is). The problem is simply one of speed: Wi-Fi is too slow to do what you want. You won't get a reliable connection until one of your things is plugged in with a cable, not Wi-Fi. Really well written article. Nice work. Do you mean IP address? My son got MACBOOK PRO I just wondering why I can't block the internet on his laptop but all the other device like Iphone 6, Windows laptop and androids can be block. Is there any way can block macbook because he's too addicted to League of Legends and I want that to be controlled. Macs all have built-in parental controls. Go to Preferences->Parental Controls, or just hit CMD-SPACEBAR to bring up the search, and type in PARENT. What programme do you use to do the diagram of your home network? Hmm, I can't remember now, it was a long time ago that I wrote this and haven't used the tool again since. I suspect it was just something like this: https://www.draw.io/ - free online drawing tool, since I don't have access to Visio, which is Microsoft's professional drawing tool. Hello very nice page.i have 2 pc's networked im not using anything like a router just using the eithernet ports in the pc's.here is the tricky part.neither of them have internet .i need to be able to start a game that has online play / network lan play on both pc's and join them together so my wife and i can play the game together.please help. My email party_prowler@ hotmail.com feel free to mail me. You can't set up an online game without being connected to the internet. Great article. i have a odd question for you. i have a modem from my isp with four ports on the back. i've got two 8 port netgear GS308 switches and about 10 things i want to hook up to the network. I've split it up and have five items on each switch, and that leaves me with 2 ports on each switch open. i was wondering if i could run two cables from the modem to each of the two switches (a total of 4 cables) and get a better bandwidth. would it be doable to tell the modem and switch to use one cable to upstream only and one for downstream only? No. These consumer grade switches are "unmanaged" and therefore basically dumb; connecting more than one cable between them would cause a loop. You would need "managed switches" in order to configure ports and QOS rules etc. Specifically, I believe you're looking for something called Link Aggregation / port trunking / bonding. James, FANTASTIC WORK HERE! This is by far the most complete, concise and up to date guide on home networking I have viewed. As an MCSE myself, I was looking for a few tips in re-doing my own setup to be more advanced with the times. I have ran a "home LAN" since the early '90's and have went thru a number of revisions. I would say I am working on at least my 5.0 version! My last update included Microsoft's Small Business Server 2011, which I am now replacing most of the functionality by moving my Exchange service to cloud and Office 365. My biggest challenge for SmartNet 6.0 is what home server platform to use. I have was running PLEX on my SBS 2011 box and plan to keep something similar in this next release. I do want to run my own private DNS on the "inside" to make accessing everything easier. I also like the XBMC platform for media and streaming access. I'll keep browsing your guide for more answers. Thanks again! Great article thanks for the info. One question that may be obvious. I have a baby monitor streaming over wifi and I am watching on an iPad in another part of the house. I'm pretty sure this doesn't use data as nothing is leaving my home network but just wanted to confirm either way? I live in south Africa and we have low data caps here. Thanks in advance! It shouldn't be, but no promises as I've seen some that push everything through a cloud service by default. An easy check would be: does it let you view remotely, while away from home? If so, it MAY be going through a cloud service, and eating up data. Router 1 has wifi one and everything is fine. Router2 in switch mode and no wifi. When connected to network (we will say wifi, router2) although I can connect to devices on router 2, when I go to router1 settings it does not display devices connected to router2, therefore preventing me from doing many route management servicea. How can I fix this and will a real switch fix this problem? The problem is that your second router is still... routing. So it hides everything from the first router. There *should* be an option to turn off all routing features, essentially making it into a dumb switch and Wi-Fi access point, but you'll need to check your router config pages for that. This would enable router 1 to see everything. A real switch would also fix this problem, but shouldn't be needed. I have a similar setup now having needed to expand a lot: router 1, with two large switches connected, and a second Apple router, running without routing capabilities, also with another switch connected. All devices are visible to others. Hi there. Possibly a dumb question but here goes please! Newly wired cat5 to entire upstairs, connected to new fiber router downstairs via netgear switches. LG tv in living room wired directly to router via cat5. Works perfectly. Bought a new Samsung tv for bedroom and hooked it up via cat5 but I get a very regular 'network cable disconnected' message on this tv. Moved the lg there and it works perfectly. Replaced the Samsung and the second one gave me the exact same fault. Borrowed a Philips tv and tested it in the bedroom. Worked fine! Question is, shouldn't I be able to connect multiple tvs via cat5 to the router and use them simultaneously? I mean, is there anything 'special' about them being tvs? Great article btw! Sounds like an issue with the TV, but your correct, you can have many devices running simultaneously through the router. Great article thanks. My issues is that I have a NAS drive with all my media which I stream to a Raspberry PI conncected to my tv, but when my internet connection drops or is throttled the streaming starts playing up. Is there anyway to create a network within the network so that my router speed does not affect my streaming speed ? Would adding another router after the first modem/router and make that the gateway work ? even if the internet is down ? How are you streaming your local media? Are both devices hardwired (to the Ethernet)? Something's not right there... It shouldn't be going via the internet at all, so throttling or losing your internet shouldn't affect it. Adding another router wont fix that. All routers will create a local network, which your media and Pi is attached to. The only issue I can think of that might, possibly occur, is if you've got the Pi on Wifi and the router is making some sort of isolated network just for the Pi. I'd suggest trying a different method of streaming - Plex, for instance. Try hardwiring both devices to Ethernet. And check your Wifi settings to make sure it's not trying to isolate it. Following what you said, I disconnected the internet cable on everything was fine, so it might be something else. I use Powerline extensions, so i'll look into that. I'll buy some gigabit ones and see if that improves the stability. It might also be the NAS itself. We have an Airport Extreme and it is pretty old. We are looking into upgrading. Can I set the old router downstairs (which doesn't get much signal even with an Express extender) and have it running on the same network as the new router? So basically asking if I can run 2 Apple routers on the same network? I'm a novice at home networking so my question is basic but to the point. Renovated home . ISP gave me line connection ( blast Comcast ) and modern set up on main floor office with MY near gear nighthawk. I needed a direct connection from cable line to pc's upstairs so technician put in phone and Ethernet jack upstairs so presumably plug into pc there. ( he jumped wiring box isp provided in garage and now Ethernet available in upstairs and down. What I'm still confused about: will my fastest connection to pc's be Ethernet to pc's or as my modern and nighthawk are together in office downstairs, connecting 2 ( soon to come) new pc's from the great router in the office?? Wi fi is exceptional but presumably I believe, pc's should ideally go from modern directly; NO?????? Any easy explanation is needed. Excellent post, thx for putting in the time! What if I have both an iMAC and Windows based PC's on my home network? Do i need to so something on my router admin page to "adjust the firewall" to allow these different internal computers free access to each other? Said another way, WIndows 7 allows a "Homegroup" to facilitate sharing files across my home network...how can I do this via network hardware instead of microsoft software? Thx! I'm trying to create a private isolate LAN in my home, that is not connected to the internet. The idea is that my kids the neighbors kids can use this internet to communicate and create their own websites without us having to worry about them online (for now). It will also teach them about networking, computers, etc. I want there to be a singel webserver, and a network with perhaps two wireless routers, to minimize deadspots. Can you recommend what sort of equipment specifically I would need? I just wanted to thank you for this article. I'm 43 and have been using computers my whole life but to this point havem't attempted anything more complicated then the standard modem / router and multiple hardwired devices throughout the house. But things are defiantly getting more complicafed... in theatre room alone I have 4 devices that would be best serviced by direct connections. Then my wife's living room. My brother down stairs. My son upstairs. All 4 areas having HD tvs. Luckily I had cate run to each room when I had renavated with exception of my sons. (But he's directly above my router so just1 hole and a short cable needed). My end goal is to be able to stream media from a nas box and/or the Web to all 4 hd sets at the same time. I just purchased the following... and I'm a little more confident I can pull it off myself after reading this article. My plan is to connect all 4 available ports on the Nas and trunk them together on the switch to unbottle neck media streaming from the NAS allowing full 1 gigabit connections to each room. I guess I'll also need a smaller 4 port switch in the theatre room as well. My current router is a Asus AC2400 RT-AC87U so quite decent. All 4 areas have a ps4, 2 have Xbox ones, etc. Anyway it seems like I got quite a bit of work ahead of me...specially since as of a few days ago I didn't know what a NAS was nor did I know what port aggregation or trunking was. So any advice would be welcome and thanks again. Great info, but I have a scenario that's a bit different My internet cable connection starts in the basement and I have an office down there. Right now I have a wireless router down there. My office computer is connected to it via ethernet cable and I have run another ethernet cable to another wireless router on the 1st floor. Both routers are setup on their own network. And I have an extender on the 2nd floor. I want to get rid of this mess and replace them all with a Dlink AC3200 on the 1st floor but how do I connect the basement Pc via ethernet cable? Run another long ethernet cable from AC3200 back down to the basement? Or can I place a ethernet switch in between the cable modem and the AC3200 and connect the Pc to the switch? Thanks! Your current solution is the best - you'd have to run another ethernet cable down if you moved the router to 1st floor, as you can't place a s switch on the cable connection. I have a similar setup to you, but at other ends of the house instead of on different floors. I did actually buy a fancy new AC3200 router too, hoping it would somewhat increase the range. It didn't. Your second router doesn't need to be in full on "router mode" though - just set it to extend the existing network (ie, dont assign new IP addresses, but let the original router handle that). It should broadcast a unique network name and use a different channel to avoid interference, but basically what you have already is the best setup. I found my way here looking for information on implementing a secured or just local NAS. I have been reluctant to add a NAS to my network because it has been generally seen as insecure. I want to believe that has changed by now. If not do I have an option to share only with my local network. Hi Nick. There's nothing inherently insecure about a NAS. Your own router is what determines the insecurity, but that shouldn't be a problem unless you're specifically opening up ports to the world (such as running your own web server at home). By default, a router will block requests that don't originate from inside your network. At the top of the article is a widget that encourages you download our app. Click one of those buttons, then click continue, and you can get the download link for the PDF. I have a modem and a pc iin one room. We want to stick a screen (say tablet or any suitable lcd ) somewhere on the wall about 2-5 meters out of the room. Play games and record the results on a spread sheet on the tablet or lcd. Then maybe daily, weekly whatever, send this (these) spreadsheets to the pc. How best, efficient and fast can this be achieved? Thank you very much. I don't mind buying some accessories for this, say NAS, switch as you said. Just want to have the best technologies and architecture to achieve this end. Thanks alot for your professional opinion. The easiest way would be to use Wi-Fi - all tablets have Wi-Fi built-in. You will of course need a Wi-Fi router for this to work. I'm not sure if you're actually refer to a modem (which only a single computer can access at any one time), or that's just what you're calling a router (which may already offer Wi-Fi). If you're not sure about that, it's probably best to phone your ISP and double check with them if you already have or how you can get a Wi-Fi capable router from them. Once you're tablet is up and running, the easiest way would be to use Google Sheets (http://sheets.google.com), which is a cloud based spreadsheet, so you can access it from anywhere and there's no need to physically sync any files. This sure looks promising. So, you suggest there is no need for using NAS, or any other hardware whatsoever. Or even any other sort of screen, right? Given a suitable case, will the tablet be safe even when left outdoors? No exactly outdoors. Its fenced and it will be safe from rain and all. Sorry for all the funny questions, but i just want to make sure am going about this the best way i can :). I was thinking may it might be possible to use ethernet too, i hear some tablets and lcds support it. But if Wi-Fi will suffice. That will be great too. Thanks by the way. I would like to show you the router( modem ) am talking about but it seems I can not attach photos here. Ah one last thing, why isn't the group chat app not support in some parts of Asia, for example: Turkey. No other hardware needed, just a tablet and WiFi capable router. I wouldn't leave it outside though - I don't know how extreme your weather can get, but temperature changes aren't good for any hardware. I've not come across a tablet with an Ethernet port, to be honest. At least, not a true tablet - those bulky tablet/laptop hybrids probably do. Yes, thats the thing ( group chat ) i was talking about. We tried the sheets you mentioned and it is perfect, but now the weather is our next concern. The weather can get real bad in winter. Hahaha, whats a good example of a tablet/laptop hybrid? It might actually be a little bit better against the weather too :). One more thing, about connecting any number ( say two ) for simplicities with a router. After connecting them to the routher with an ethernet cable, is that sufficient to transmit data between them without wifi or internet? nothing else needs to be installed? if so, how can i access the data on one of them from another pc? However, Google Sheets is a cloud-based thing, so it will need internet access to use it. That's the only downside to cloud-based services. I cant find any laptop/tablet hybrids with an ethernet port directly on them (my last one of those devices was about 10 years ago, they had them then), but the Microsoft Surface is apparently good and has a USB port, which you can get an Ethernet adapter for (https://www.microsoft.com/surface/en-us/devices/surface-3) That's not a recommendation of the Surface though, I can't stand Windows 10 but maybe you like it ;) Really though, WiFi would be best for something portable. Again: nothing will handle getting wet though. Touchscreens don't like water, and adding a waterproof case will just make it really awkward. Just don't leave it outside! I can not stand it either :). Thanks. The thing is we need a display with a touch screen that's going to be fixed somewhere on the wall, so whoever plays can enter the results. So far the wifi-google sheets method is winning. I was just wondering about other possible, perhaps better options. If i connected that surface using an ethernet adaptor, would it also show up on the local network? Thank you very much :). If anything else happens i will let you know. Good article, but I would like to know more about Access Points. This is the second article I've read recently that mentions the use of powerline ethernet products, but those tend to work very poorly in my experience and are really a crapshoot. Why isn't MoCA being mentioned at all? I mentioned that powerline is a last resort and depends very much on your individual setup. It works well for me with a low bandwidth device that otherwise can't get WiFi or Ethernet. MoCA isn't mentioned because it's an obscure technology, not many houses are pre-wired with co-ax to every room, and there's very few consumer implementations of it - it's dead, basically. right at the top of the article is a Gleam widget. Just share using one of the links, and the PDF download is unlocked. Very nice job on a basic primer for the average home user that is willing to take a first look under the hood. You should write a complete modern primer addressing these and other contemporary challenges in more detail. I am often asked to provide such a reference and am not currently satisfied with any of these existing options. Thanks! The dhcp distributing router is connected via erhernet using a power line adapter to the second access point router. I know the connection is working as the second router is happily giving out wifi. The lights for the connected Ethernet cables on the second router are lit orange which suggests it knows they are plugged in but isn't sending anything down them. The computer knows they are connected. Very odd. Sounds like there might be something in your router config, but that's difficult to find and fix without actually being there. What router and model number is it? I have it setup - via the routers interface - as a wireless access point. Would this turn off the Ethernet ports? That seems weird. Would it make more sense to have 2 dhcp servers running - 1 on each router - giving out different ranges of ip Addresses? No beer necessary. You shouldn't have two DCHP servers, no. The second router should be connected via an Ethernet cable from it's WAN port to one of the regular LAN ports on the first router. Is that plugged in, and does it have the little lights flashing to indicate the cable is working? Great article - i'm the networking equivalent of a doctor's child: i think i know more about the subject than I do . Very useful to have it all together. (not that you were asking but...) I have a question on troubleshooting - I use a combo of power line, ethernet and wireless with one 'main' router and a second (in another room) acting without dhcp on in another room. It happily deals with all the wifi connections but it will not let anything connect to it via ethernet. i have tried new cables etc. How do I troubleshoot this? When you say "cant connect over Ethernet", do you mean devices plugged into it via the network ports arent working? Or that you cant connect to the management interface? I agree with much of the sentiment in the above comments thus far. Thanks so much for a simple article without most of the techie jargon. Great article, written without too much fancy talk! That's what I love about makeuseof. Keep it up guys/gals! Is there a PDF of this article? If so where can I find it? Yes there is! Scroll up to the start of the article and you'll find it available for download through the Gleam widget. Are the Raspberry Pi's capable of having more than one dedicated role? e.g., can a Raspberry Pi B+ be a printer server AND a Pi-hole (//www.makeuseof.com/tag/adblock-everywhere-raspberry-pi-hole-way/)...or using a Raspberry Pi 2 as a web server AND a printer server? Most tutorials discuss a specific function, but not whether various specific functions can be run simultaneously on the same Pi. Great article and speaks directly to my future weekend project! Depends on the exact functions and whether they overlap. PiHole and a print server should be compatible together, but you'll need to adapt the instructions yourself. Something like PiHole and the TransMogrifying Router (I made that name up - //www.makeuseof.com/tag/how-to-make-a-wifi-network-that-only-transmits-cat-pictures-with-a-raspberry-pi/) wouldn't work together. Great article. Have been having problems with XBMC and remotes and this might help. Where is the example referred to here... read the scenario on how to set up your own web server later in the guide for an example of how to overcome the problem of changing IP addresses. The writer neglected to mention Access Points in discussion of extending wireless networks. Access points cost about the same amount of money as extenders. They normally require a separate ethernet connection, but in exchange they create an entirely distinct wireless network, one that has its own pool of bandwidth. If the SSID (wireless network name) and security settings are the same as the other networks in your home or business, your client will associate with whichever of them is offering the best signal. In contrast, Wireless repeaters increase wireless network congestion and may not be a good idea except on network where there's no possibility of getting an ethernet cable to a satisfactory location. I strongly recommend manual rather than automatic selection of wireless channels for all access points and home routers, especially for users in areas where there's already existing wireless networks. Having 802.11 devices momentarily disconnect because a device chose to switch frequencies is a great enough aggravation to make this a good idea. Nice article that will serve as a good reference for anyone who needs to build a basic home network!